DIY FREE Minecraft Steve & friends (Creeper, Enderman, Diamond and Lava Boy) birthday party invitation you can print at home. Want to throw a Minecraft themed birthday party for your child? You found the right place, HelloDerpy is here to help! In case you don’t know about Novaskin, it’s a very useful place to custom design your player’s skin and get super cute customizable wallpapers with your player in it. Here is just one idea of what you can DIY for an awesome FREE Minecraft birthday invitation. 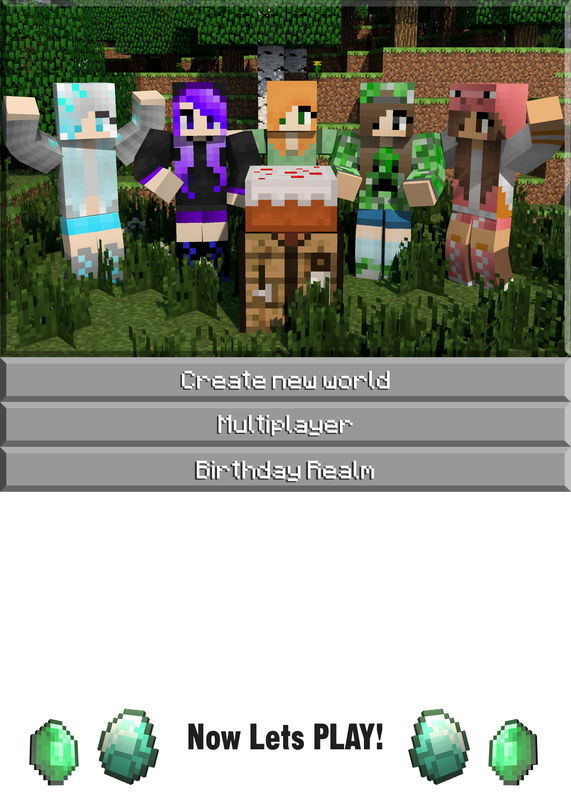 Click HERE to get the “Steve & Friends” high resolution, blank Minecraft Birthday invitation template – just add your party details. In the new window that opens, right click on the image and “Save As” to download to your computer. FREE! Alex & Friends DIY Minecraft birthday invitation great for girl Minecraft players! 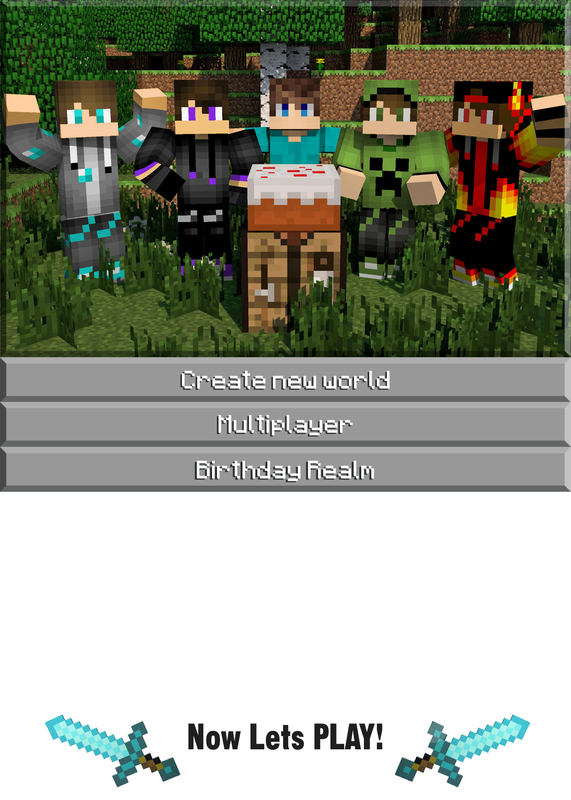 Click HERE to get the “Alex & Friends” high resolution, blank Minecraft Birthday invitation template – just add your party details. In the new window that opens, right click on the image and “Save As” to download to your computer. Minecraft party invitation using the free novaskin Minecraft wallpaper. Your child will love to see their Minecraft skin in the picture – and I’ll show you how to do it in my YouTube video. In the meantime, please leave a comment if you need help making this for your child. Choose your wallpaper from http://minecraft.novaskin.me/wallpapers , you can also add your child’s favorite YouTube’rs like DanTDM, Creepers Edge, Landon, Preston Playz. Hope your party is a real BLAST!!! Pop a piece of ordinary bread into the toaster – when it’s done – heavily “butter” it with rich creamy chocolatey NUTELLA. MMmmmMmNutella! ENJOY – and wear this adorable Nutella hoodie while you play Minecraft!!! HelloDerpy’s designer Nutella Derp Skin for girls. Brown hoodie with white stripe and Nutella logo. This is my cake hoodie derp skin! Who doesn’t love a cake derp?? Strawberry cake derp with white frosting and red sprinkles!!! This skin was TOTALLY custom!